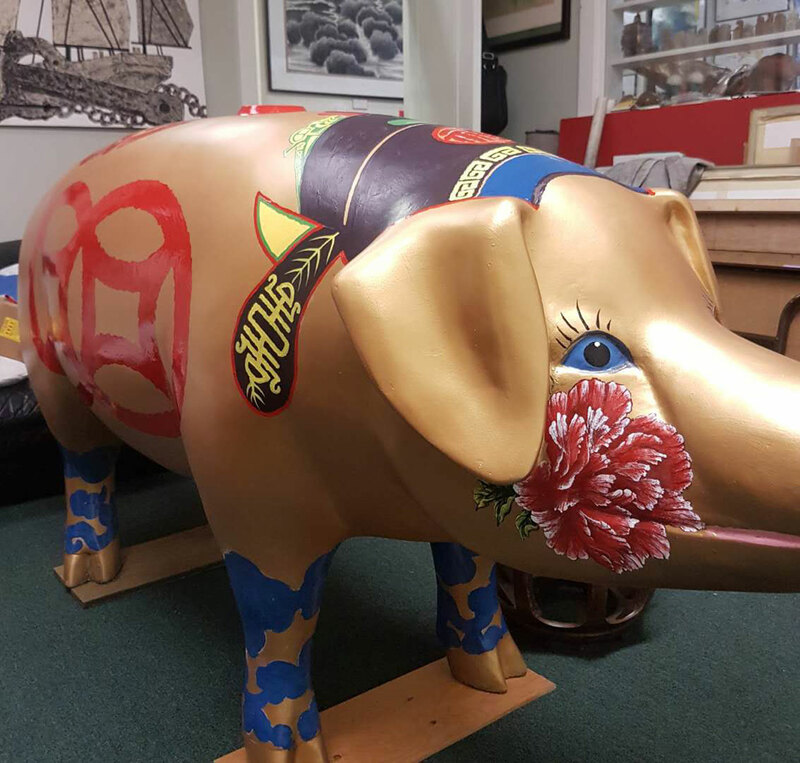 Rachel the Piggy Bank is sharing her fiberglass stunt double — one of the original art pigs from Pigs on Parade in 2007 — with Seattle’s Chinese community to celebrate the Lunar Year of the Pig 2019! Local artist, Zuolie Deng, has created 珠珠 “Ju Ju” (pronounced Zoo Zoo), also known as Golden Pearl. 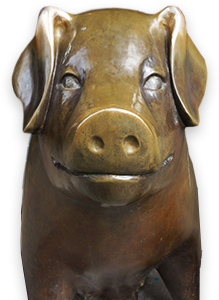 This brilliant work of pig art symbolizes prosperity, good luck and longevity. 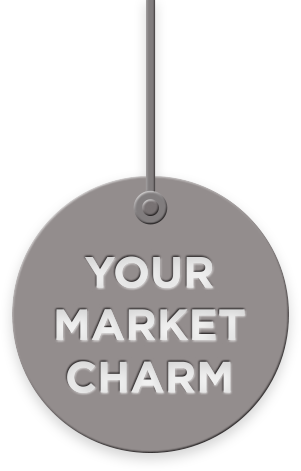 Her design includes Chinese coins painted in red on her belly, calligraphy on her back, peonies blushing her cheeks, and clouds on her hooves lifting her to her highest potential. Golden Pearl will travel the Seattle region for the next year to make her appearance at events hosted by Seattle’s Chinese community. 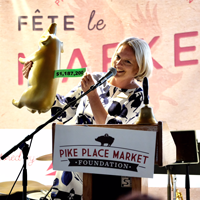 She’ll also make her Market debut at PIG Day Out! 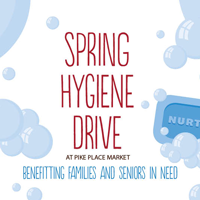 in Pike Place Market on March 1st! 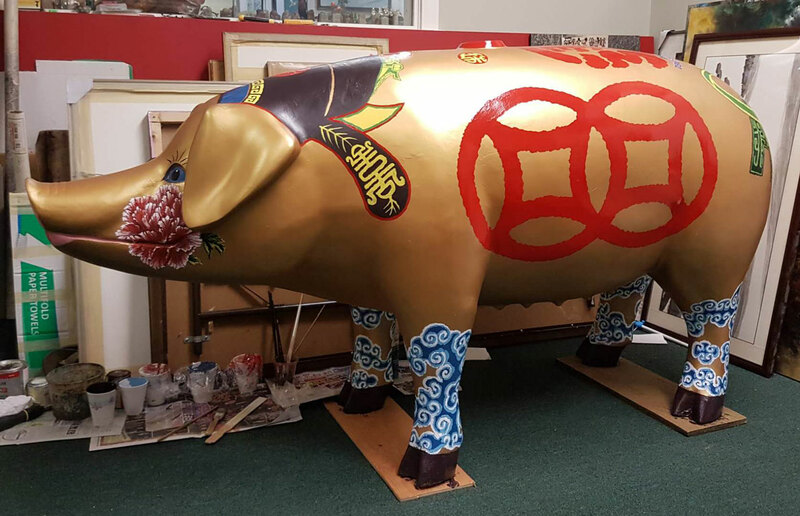 Thank you to our partners at Washington State Asian Pacific Education & Culture Foundation, Washington State Sichuan Friendship Association, Wing Luke Museum and Ellen Ferguson for bringing Golden Pearl to life for the Lunar Year of the Pig 2019! Zuolie Deng is a famous Chinese calligrapher, painter and engraver with his own holiday. In 2009, King County Executive Ron Sims proclaimed February 28th Zuolie Deng Day for sharing his culture and talents with our community. His gallery is located in Seattle’s Chinatown-International District where you’ll find floor to ceiling oil paintings of his incredible work. 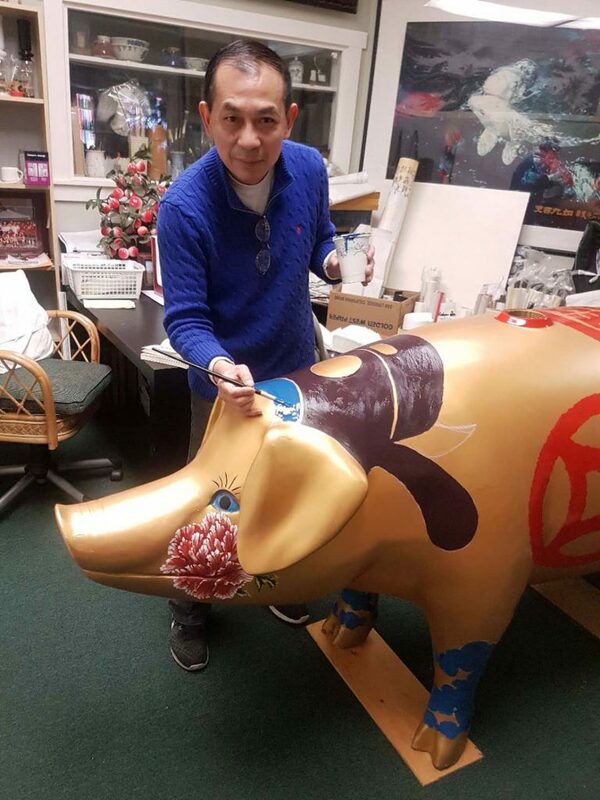 In 1994, he started the Washington Overseas Chinese Art Association and is the current President. 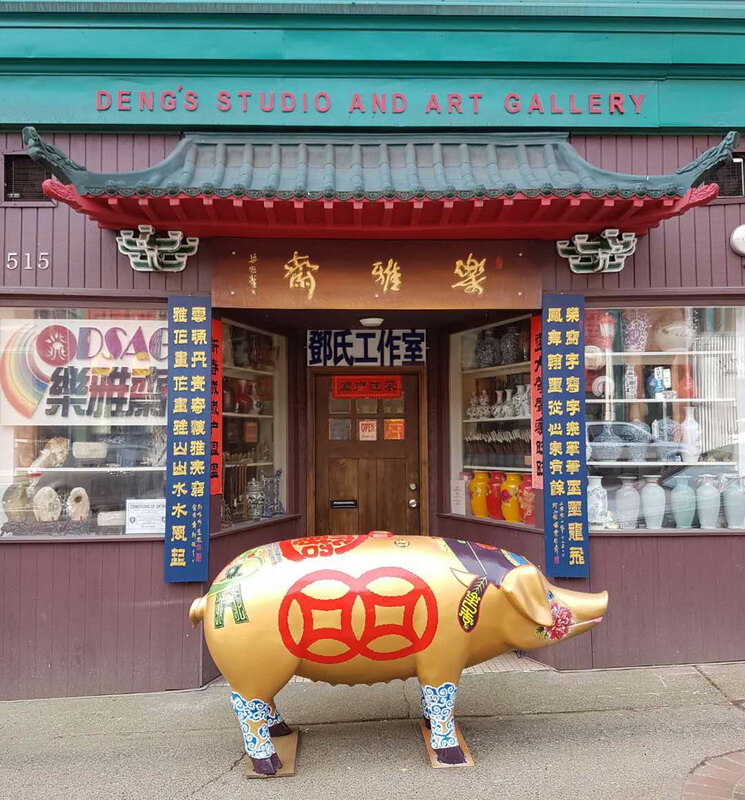 He started Deng’s Studio & Gallery in the Chinatown-International District in 2001, the first studio in Seattle run by a Chinese immigrant. We are so honored to partner with Master Deng on the creation of Golden Pearl!